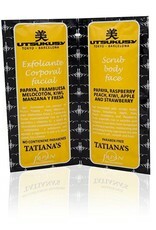 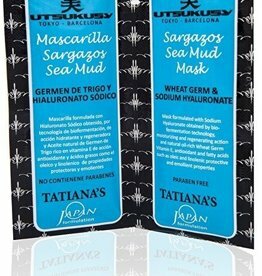 Utsukusy Tatiana's Body and Face Scrub with fruit extracts. 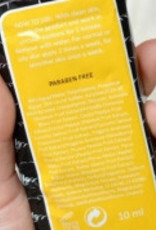 Gel formulated with fruit extracts; papaya, stawberry, apple, kiwi, peach and raspberry fruits. 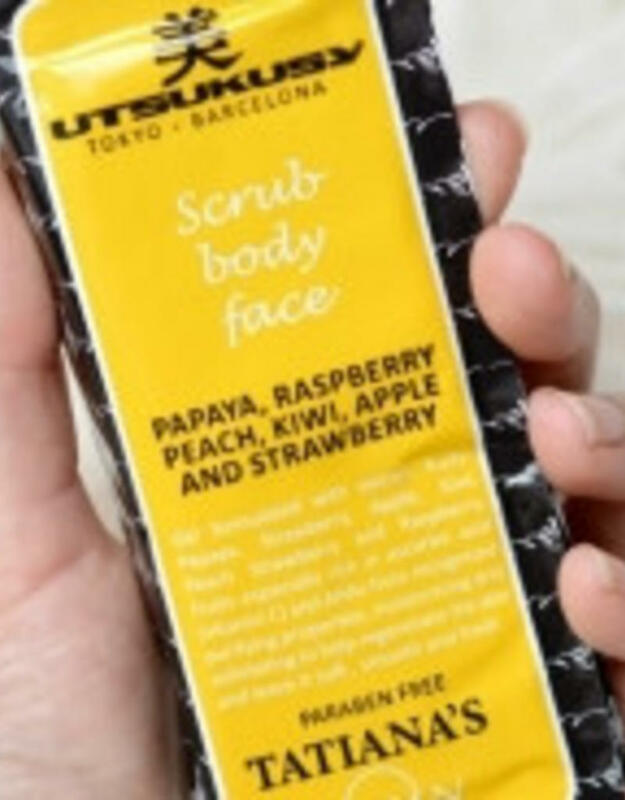 These fruits are especially rich in ascorbic acid (vitamine C) and AHAs from recognized purifying properties. 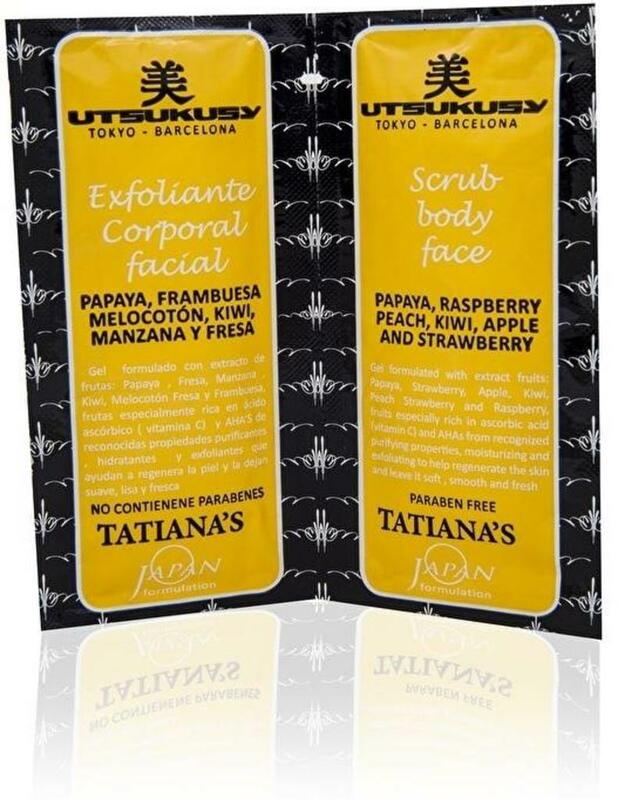 Moisturizing and exfoliating to help regenerate the skin and leave it soft, smooth and fresh. 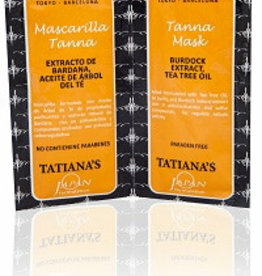 Suitable for both body and face for a radiant skin. 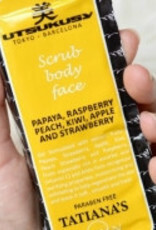 Apply to wet skin and gently scrub body and face. 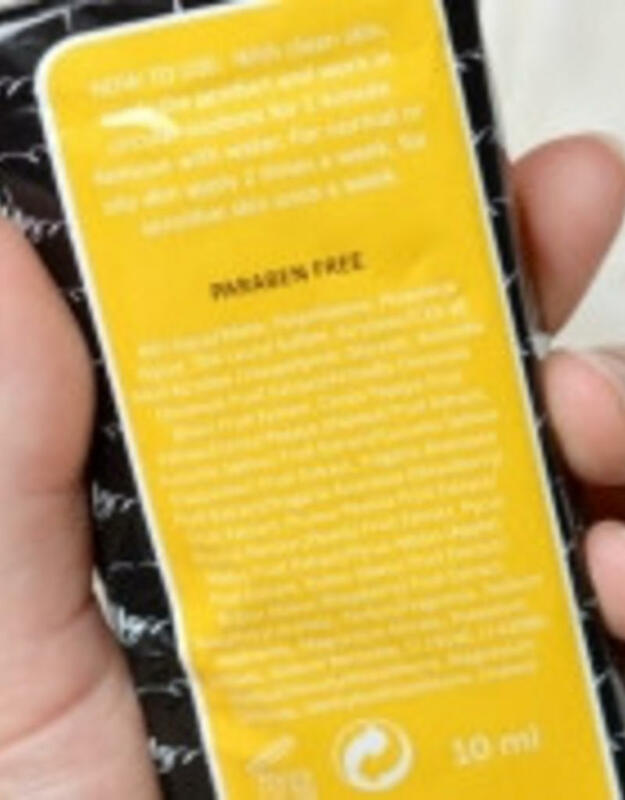 Rinse off well. 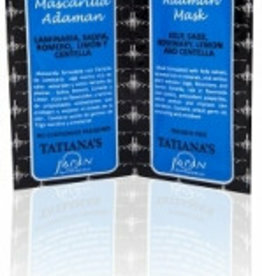 Adaman kelp, hamamelis, lemon, hop, sage and rosemary mask. 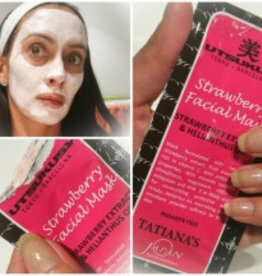 A deliciously soft and creamy yet fresh face mask full of minerals, flavanoids, antioxidants and tannins to restore and soften the damaged skin. 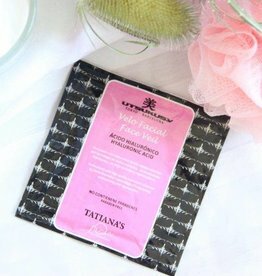 This deep moisturizing hyaluronic acid mask restores the skin layers so your skin is deeply hydrated.